2017 is already shaping up to be a great year as LEADTOOLS has a lot of exciting features and enhancements to share. Today we’re going to introduce to you some of the upcoming updates to LEADTOOLS V19 Document and Medical technologies that will continue to keep LEADTOOLS as the most comprehensive SDK in the market. These updates will include a market-first DICOM Hanging Protocol implementation as well as the fastest Form Recognition and Processing engine in the world! Additionally, the upcoming update includes new features for the HTML5 Zero-footprint Medical Web Viewer, DICOM Storage Server, Recognition Engines, Document Viewer, Document Formats, Linux, and Credit Card Reader. 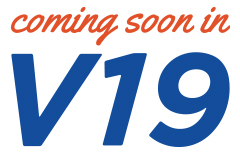 This release will be available at no additional cost to all registered LEADTOOLS Version 19 and annual maintenance customers. Contact LEAD to see if you are eligible to receive these updates. We are very excited about providing the first commercial implementation of the DICOM Hanging Protocol to our V19 PACS and Medical Imaging Suite customers! Hanging Protocol is a specification defined in the DICOM standard to lay out images for viewing. Hanging Protocol improves the UX by automatically setting up the display, including tiling, prior studies, scrolling mode (horizontal, vertical, tiled), synchronized scrolling of multiple items, Cine Options, MPR (Reformatting), VOI Type, Horizontal/Vertical justification, Orientation, True Size, Grayscale Inverted, Sorting, and more. Once created, a hanging protocol can be used to display similar images for any patient. 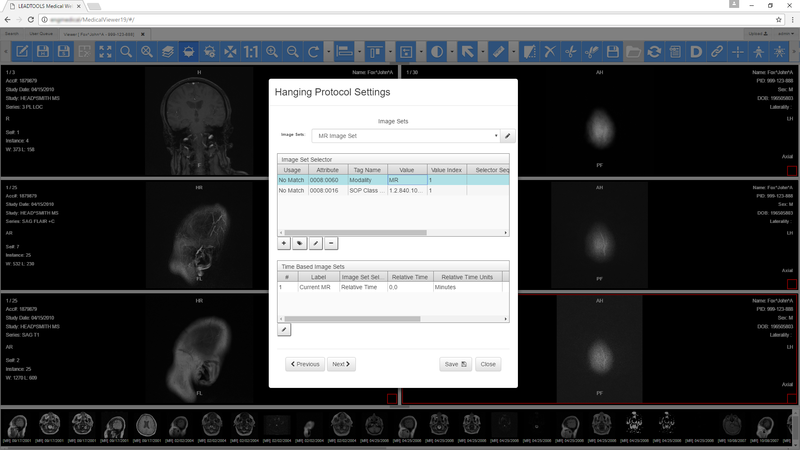 Once released, LEADTOOLS will support the creation, modification, storage, retrieval, sharing, and application of DICOM-standard Hanging Protocols IODs. Information concerning the other new features and announcements mentioned above will be provides in future posts. Stay tuned for more information! This entry was posted in News and tagged DICOM, hanging protocol, HTML5, Medical Imaging, Medical Viewer, Zero Footprint. Bookmark the permalink.